… and the tensions rise as Hoagy investigates the cutthroat publishing industry. Many ugly incidents occur which leave the reader wondering what’s going to happen when the tensions boil over into violence. And sure enough, somebody falls to their death, an apparent suicide. But Hoagy is not entirely satisfied and soon enough the police begin to entertain similar suspicions. 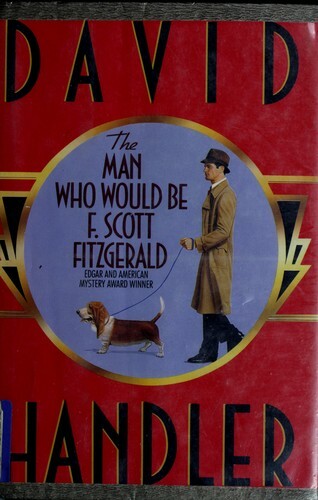 It’s up to Hoagy and his dog, Lulu, to investigate matters and sniff out the culprit. But even the best plot could fall flat without good characters, and Handler delivers on that front, too, especially with his main characters. Although a lot of bad stuff has hit Hoagy, he manages to keep his chin up instead of whining to the reader about how tough his life is. Hoagy is truly one of the most appealing detectives I’ve ever come across, and I’m choosing my words carefully. 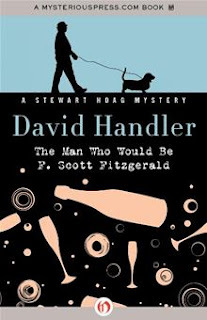 No matter what life throws in his direction (and life deals him a few heavy blows in this book), Hoagy shows a sense of humour and a generally-positive outlook towards life. That doesn’t mean he’s naïve, though— he is an intelligent fellow and it’s hard to slip anything past him. As for Hoagy’s dog, Lulu, she is a character of her own. She never speaks and she doesn’t solve the case or anything of the sort, but she feels like a very real character. The way she interacts with her owner, her allergies, the way she barks—all of it simply leaps off the page. But just as fascinating is the glimpse we get into the world of publishing as it was in the late 80s/early 90s—and as Handler portrays it, it can be quite a cutthroat environment! (I can’t confirm whether it was like that back then— I was born in 1993, but like many children I was quite young at the time.) The descriptions we get of Cameron Noyes’ fictional novel, Bang, all seem fascinating (although we wisely never read an excerpt from the novel). There was even a movie adaptation, and the wit with which the changes made to the story are described are still right-on-the-money, even if nowadays Taylor Lautner would star in the movie instead of Charlie Sheen. So, in conclusion, as you can probably guess, I would highly recommend The Man Who Would Be F. Scott Fitzgerald. 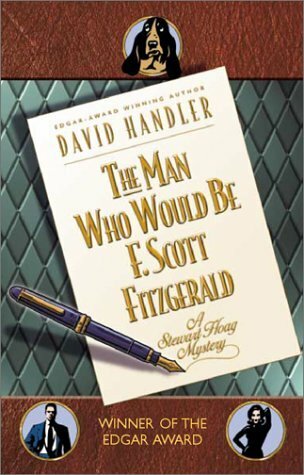 It’s an excellent mystery populated by interesting, likeable characters. The plot is a success and excellently paced. The author shows his wit by the bucketful, as I found myself laughing out loud at several moments. And the book has aged remarkably well. This is one of the best books I’ve read so far this year, and it makes me very excited (and intrigued!) to read more by this same author!